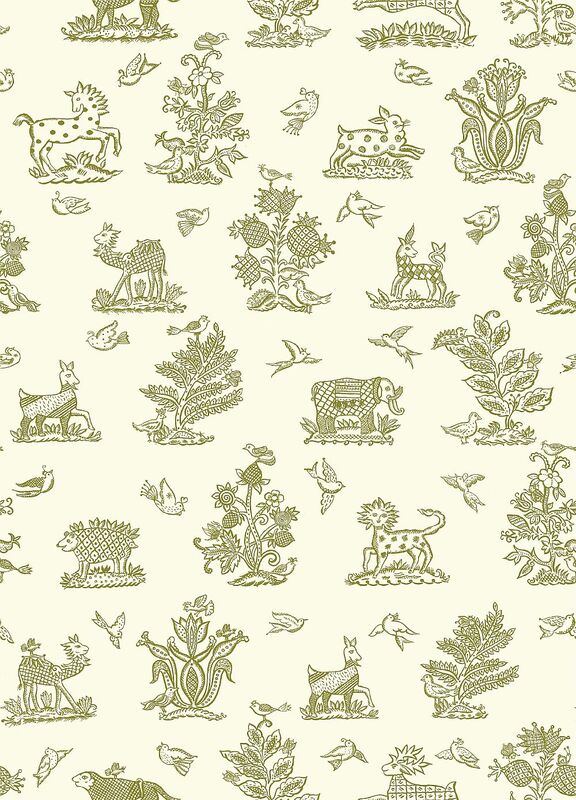 A toile like design in a bohemian style, featuring unusual mystical creatures and plants. Shown here in gold on cream. Other colour ways available. Please request a sample for true colour match.